One man changed his mind, and now three women will fly in combat for the Indian Air Force. 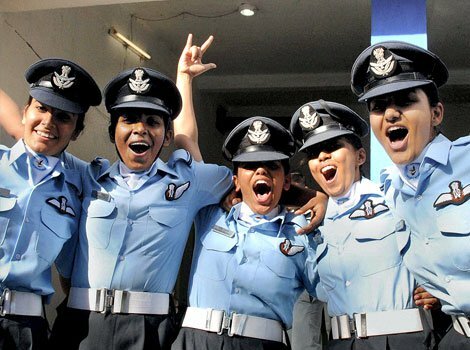 Chief of the Air Staff of the Indian Air Force and current Air Chief Marshal Arup Raha announced, on International Women’s Day, that India will have it’s first ever female fighter pilots on June 18th of this year. Three female pilots have volunteered to join the combat stream. Bhawana Kanth, Avani Chaturvedi and Mohana Singh will compete training and become the first female fighter pilots in India’s history. “They are under the second phase of their training. Once they complete their training and are at par with their male colleagues, the passing out parade is scheduled on June 18th," Raha announced. Previously women in India were not allowed to fly as pilots in combat. Women do actively take part in supporting the Indian Air Force, with 1,500 women serving (94 of whom are pilots.) In October, Raha announced that women would be allowed to train for aerial combat. “We are now planning to induct [women] into the fighter stream to meet the aspirations of the young women of India,” said Raha. This is a huge breakthrough for women in India. Combat may not be the choice of all women, but allowing another group of women to follow their chosen dream makes it easier for all women to follow their dreams. Raha didn’t always support women in the Indian Air Force. Just one year ago he said, “As far as flying fighter planes are concerned, it is a very challenging job. Women are by nature not physically suited for flying fighter planes for long hours, especially when they are pregnant or have other health problems." But look at the progress that has been made in just one year! Today, Raha celebrates the first female fighter pilots. He admitted last fall that he had “no doubt” that women could become effective fighter pilots. Changing his mind (which is a form of bravery in and of itself) and providing more opportunities for women in India. Women are just as capable as men. They are one of the best investments society can make. 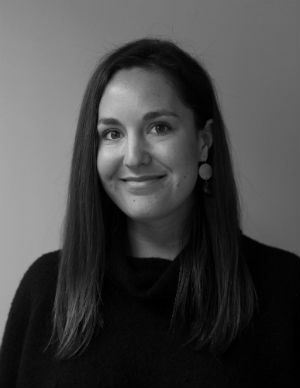 Thank you Raha for realizing the power and potential of women and working to foster an environment where women can decide which job they are fit to do for themselves. One of the world’s first female fighter pilots was 23-year-old Sabiha Gökçen from Turkey who flew in combat in 1936. It’s been a long road for women to gain the ability to fly in combat in history. It wasn’t until the early 1990s that many countries removed bans on women flying fighter jets in combat. In the US, it wasn’t until nearly ten years after Top Gun, a film where Tom Cruise plays a hot-headed fighter pilot in training (and you're seeing in the GIFs here), that Jeannie Leavitt become the first female fighter pilot in the US Air Force. Now, women in India will have the chance to prove they are are just as strong, skilled, and tough (if not tougher) than men in one more category. Ghost Rider, you are cleared for fly-by.